Welcome to Marie Smith’s third grade classroom at MW Cuyler Elementary School! I am so pleased to share the photo tour of my classroom. Knowing that they may be helpful to other teachers is exactly the reason I devote so much time to my website... and for parents too! 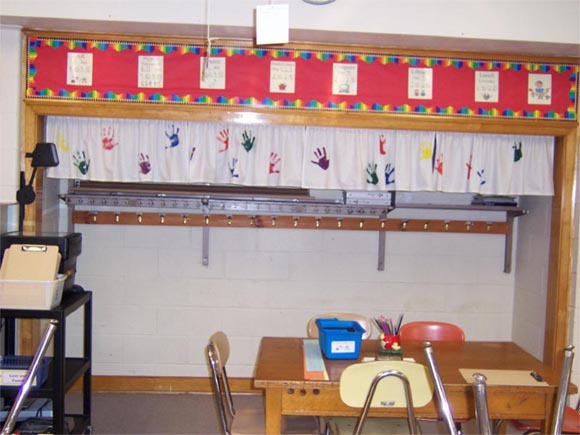 When children enter the room in the morning they hang their belongings up in the cubby area, remove pertinent papers from their S.T.A.R. Books, put their S.T.A.R. Books back in the crates, and read the Morning Message. I made the curtain to give the room a "home away from home" look! Every two weeks we change classroom jobs. The jobs that we have can be found in the Class Handbook. 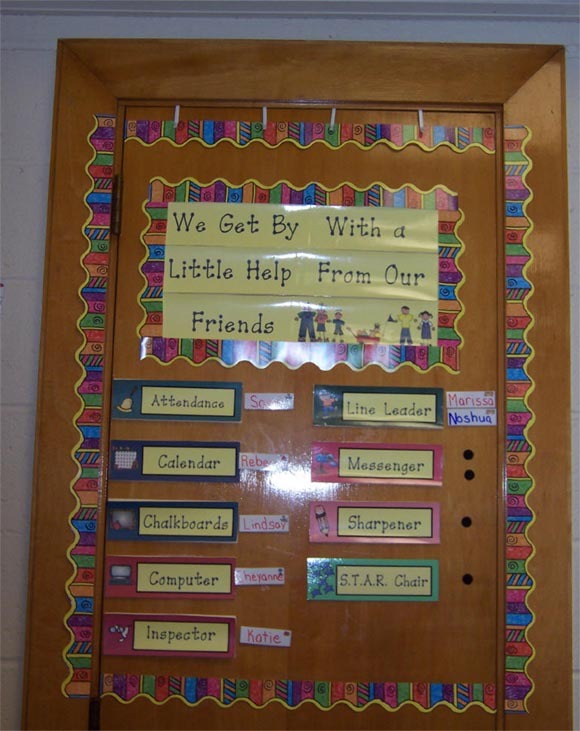 By the end of the year each child will have done every job at least once, if not more. It is my philosophy that, "We Get By With a Little Help From Our Friends!" You have to see their faces when I talk about the Beatles song, or better yet, when I try to sing it! 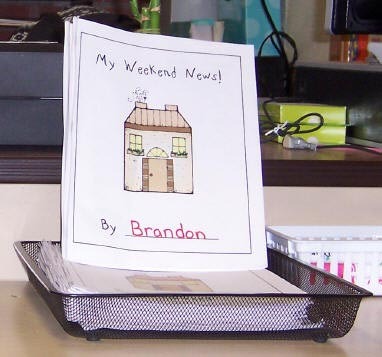 Every Monday the children write about their weekend in their Weekend News Journal. This is simply a journal put together by us. It contains 10 pages, one for each Monday in the marking period. Each marking period the cover changes. There is a space on each page for the students to draw an illustration. What a great way to get to know your kids. Sometimes I sit and read them and just laugh out loud! They write in their own true voice!